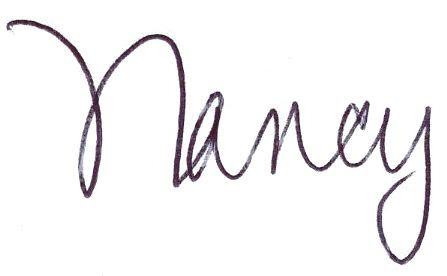 Well, there is no denying it now. Thanksgiving is a week from Thursday, we have had the deepest and coldest killing frost I have ever seen in the middle of November, the days are short, the nights are long, and the last eight weeks of the year are upon us. My house is overflowing with the tropical plants that graced my deck all summer. My Thanksgiving cactuses are budded, right on time. I am deep in the throes of my final garden chores- waiting for a warm up to put in my garlic and bulbs, cutting down anything that still needs it, WiltPrufing my broadleaf evergreens, planting the few more perennials I couldn’t resist taking home, and covering my raised beds with leaves. At Natureworks, we are scurrying around like crazy to transform our greenhouse into our Design Studio for the holiday season. Inside, the spring blooming bulbs have been banished to the shed (and they are on sale!) as more and more merchandise gets unpacked and displayed. It is basically a total transformation, inside and out. The few outdoor plants that were left were either planted in our gardens or heeled in for the winter. There are potted evergreens galore to use in replanting your windowboxes and containers. I have started cutting my orange winterberries and golden evergreens for use in our Thanksgiving centerpieces and arrangements. 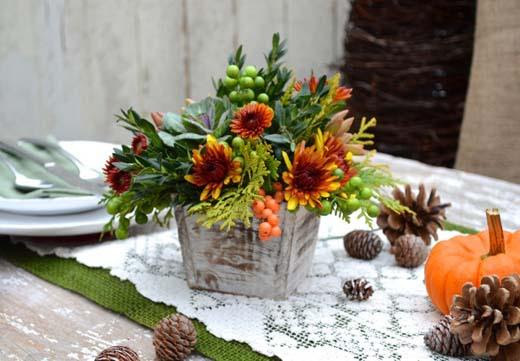 My staff is making succulent pumpkins and all kinds of naturalistic, delightful arrangements that will so inspire you. 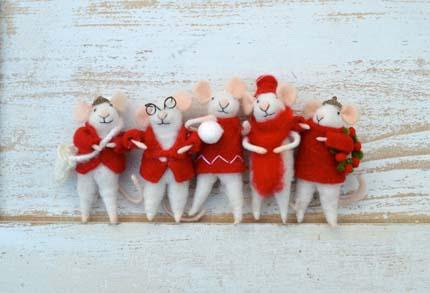 we are already starting to take orders for Christmas items as well! 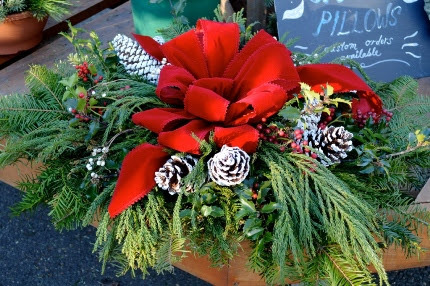 We have so many regulars that count on the Natureworks design team to create their custom wreaths, cemetery pillows, swags, and roping. We keep excellent records, so if you have ordered from us before, we can pull up your previous years’ specifications- this makes life so much easier! As the crews work double time to finish their jobs and putting their client’s gardens to bed, they have been asked to schedule many greens-harvesting days. This Thursday at 4 pm, tune into Facebook Live. My focus will be on Understanding Evergreens. I will be explaining how to work with fresh cut greens to decorate pots for your porch. 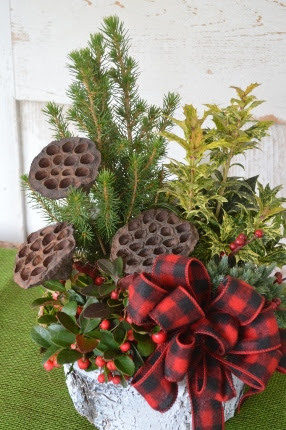 In the process, I will talk about the best way to keep your evergreens fresh and teach you about some of the wonderful, unusual evergreens we will be using in our creations this holiday season. If you miss it, you can always watch it on our Natureworks Facebook Page. All of our videos are archived. Striking a Balance. As gardeners in the 21st century, we are pulled in so many directions. I love so many different plants- should I only plant natives? I need low maintenance but I just can’t give up my gardens. Plant communities, shrubs vs. perennials- yikes! Click Here to read all about this exciting winter conference. Registration is limited and the conference will surely sell out. Don’t miss this, register today! This would make a really great holiday gift, perhaps accompanied by a book by one of the speakers. We can help with that! 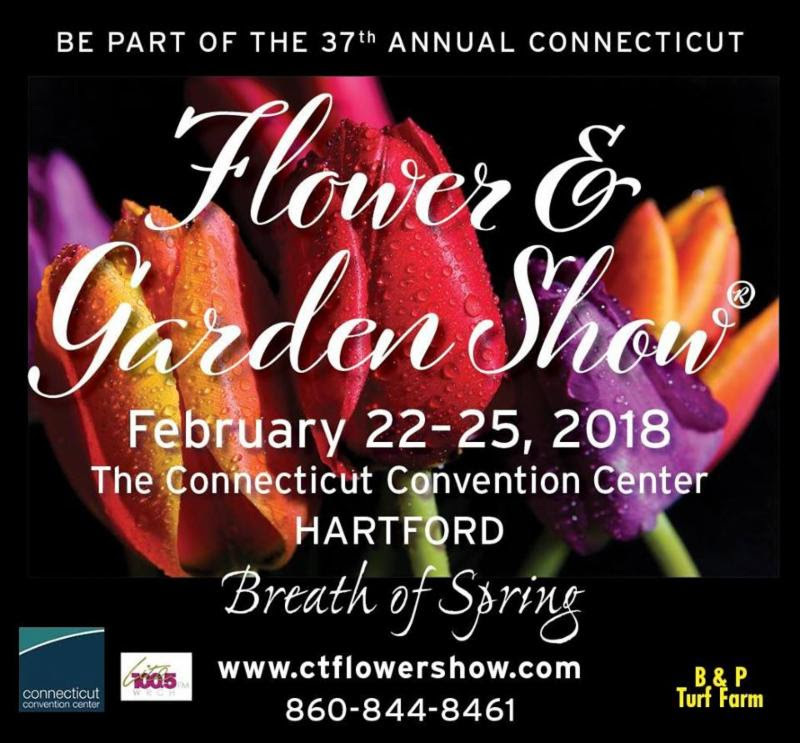 Another fun part of the winter months in the CT Flower and Garden Show. We are once again selling discounted flower show tickets. 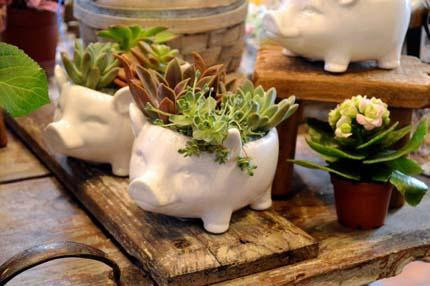 They are great stocking stuffers, offering a welcome breath of spring just when you need it most in late February. Doug Tallamy, author of Bringing Nature Home, is going to be speaking. Why not give someone a pair of tickets and a copy of his book? What a thoughtful, enriching present to help get through the indoor months. What’s new in the shop? 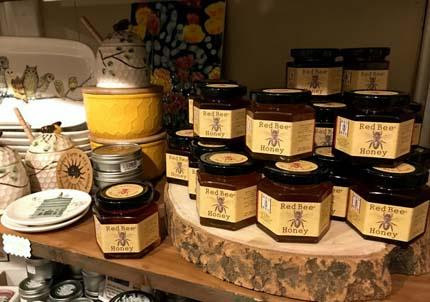 We are once again carrying Red Bee honey, back by popular request. This CT honey is so delicious; give it as a gift or treat yourself to a jar for your tea this week. We have restocked our favorite Mole Hollow dripless candles and we have wonderful Bedrock Tree Farm fir scented candles as well. Ornaments? Yes, they are being hung every day. I look forward to arriving in the morning to see what’s new. 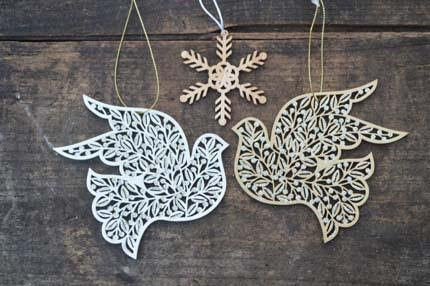 Above is just a small sampling of the beautiful, nature inspired, delightful ornaments that we are hanging up daily. 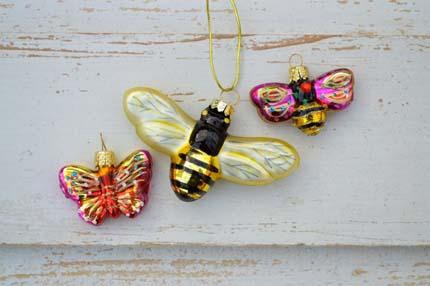 Yes, it’s too early to put up a tree, but it’s never to soon to buy a few new ornaments for yourself or as a gift! Brighten your week ahead with a visit to Natureworks. 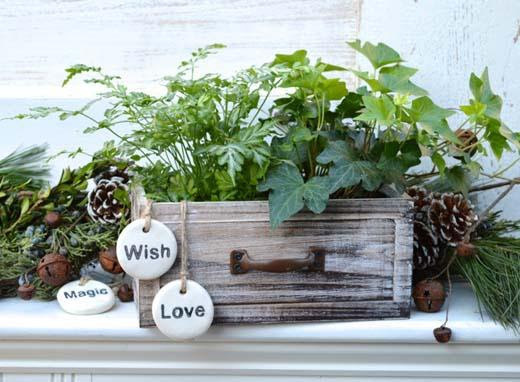 Let us be your inspiration for decorating, inside and out, naturally. Remember, keep it local and support the businesses that make up the fabric of our community. Shopping this way is much more relaxing, fun, and rewarding.